Who doesn't love a red dessert? 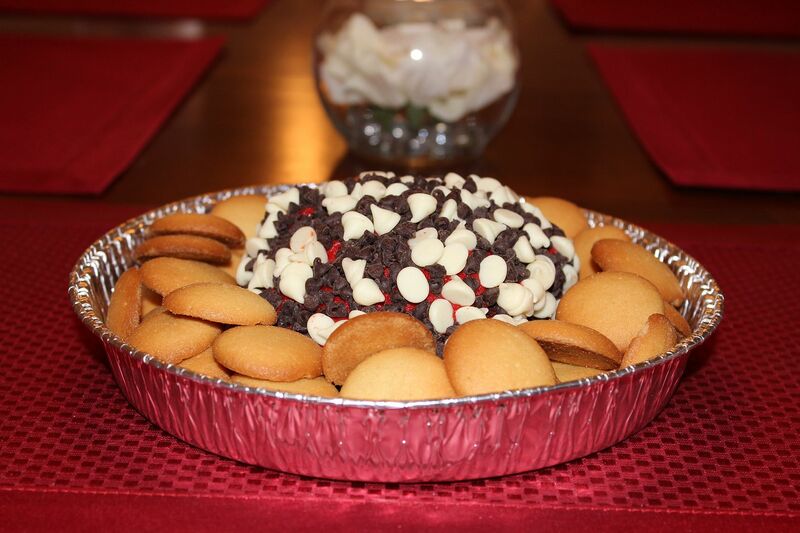 J Just in time for Valentine’s Day, I bring to you a very yummy cream cheese ball, topped with chocolate chips. Need I say anything else? 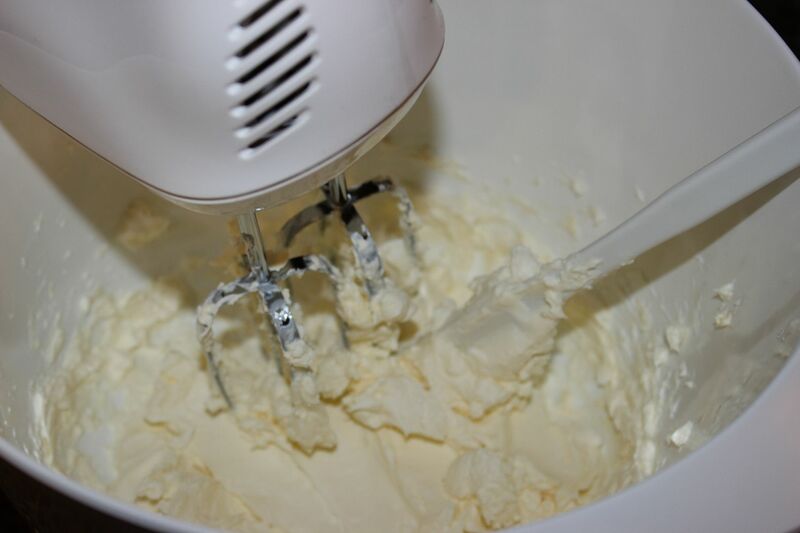 In a large bowl, beat the cream cheese and butter until smooth (I used a hand mixer, but you can use your Kitchen Aid stand mixer). 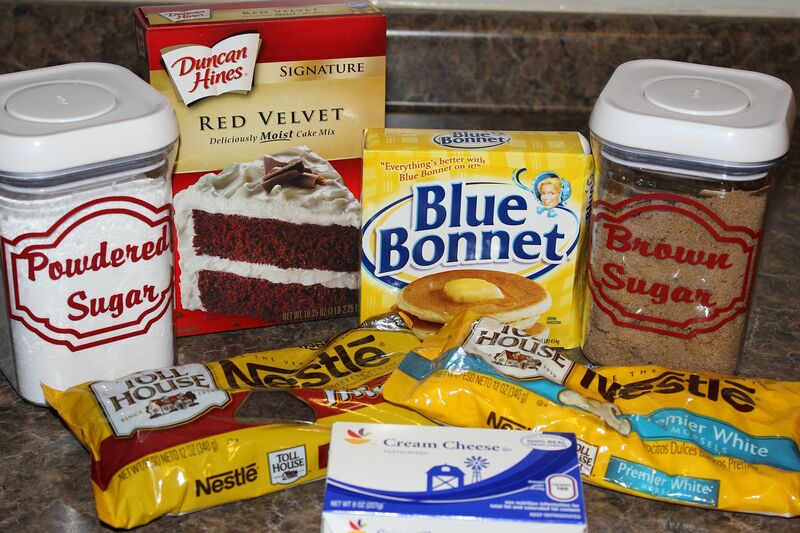 Add in the red velvet cake mix, brown sugar and powdered sugar. Beat until smooth and all ingredients are combined. Turn the mixture out onto a piece of plastic wrap. 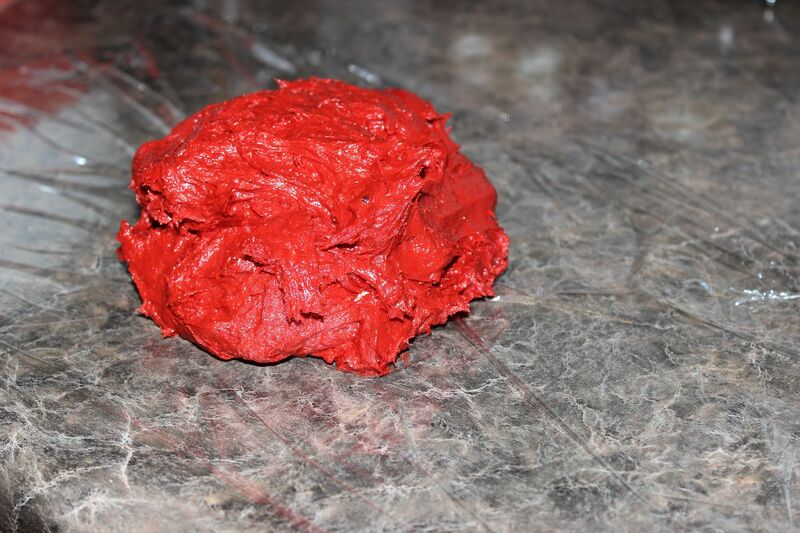 Wrap up into a ball and refrigerate for at least 2 hours (I refrigerated mine overnight) . Combine the mini chocolate chips and white chocolate chips in a small bowl. Remove the cheese ball from the refrigerator and unwrap. Roll in the chocolate and white chocolate chips. 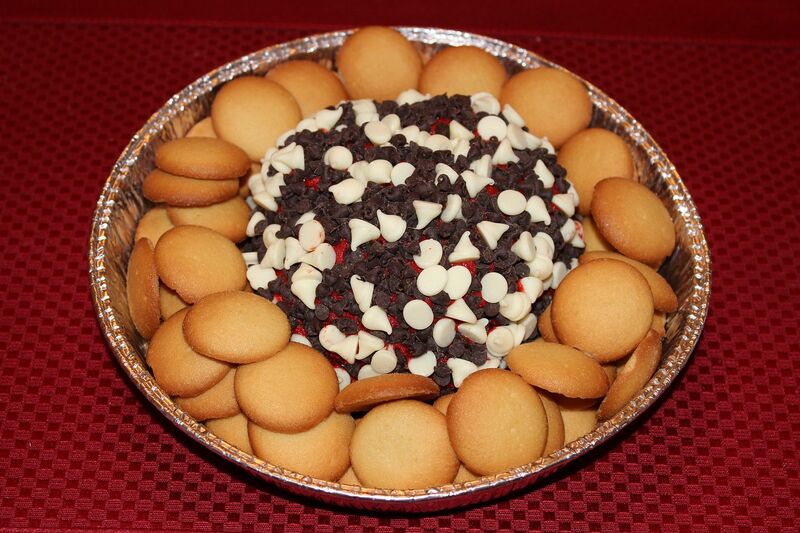 Place on a serving plate and serve with Vanilla Wafers. Take to a party and watch your dish get devoured and hear everyone asking for the recipe! looks delicious! and so festive-Love it!!! YUM!! This is so perfect! Yummy!! 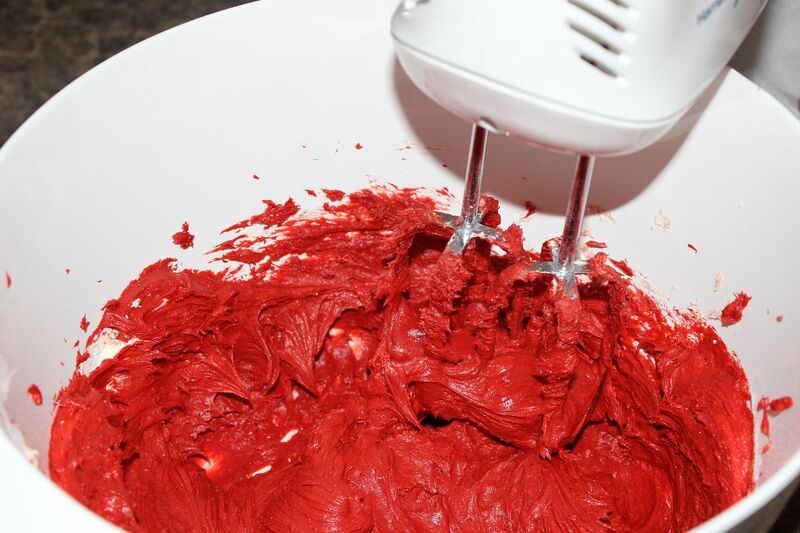 I love anything red velvet!! OMG - you had me at red velvet cream cheese ball. This looks SO good!